New Year's Eve is the next meal. We will be eight, including seven drinkers since my wife will only drink the Yquem. There are four faithful friends of our Eve parties and meals of August 15th. A couple of restaurateurs will be present for the first time. I pester because the quality of the corks of the two wines of Burgundy is notoriously low. When I want to poke my corkscrew into the 1957 cork, the cork slides down. I try to sting and when I turn the corkscrew, the cap turns, without I can make the corkscrew penetrate. It took several minutes before I could push in the corkscrew and lift the cork, black on more than half of its length and putting fat on the neck. The smell of wine is appalling, the dust dominating. This smell has so penetrated the wine that it seems to me impossible for the wine to come back to life. I'm fine, my wife is beautiful, the first friends are ringing at the door. The Christmas Eve of December 31, 2017 will begin. The aperitif begins with Veuve Clicquot Ponsardin Vintage Magnum 1985 Champagne, which will accompany truffle sautéed white boudin in thin slices, a chiffonnade of Cecina de León, this delicious beef smoked meat, and bread brought by a friend restaurateur. 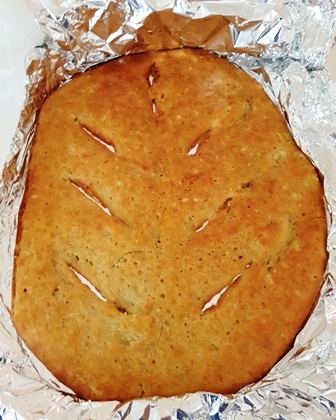 "Bread Pump" is traditionally served on December 24th. It is made of flour poured on the bottom of the grinding wheel when the pressing of the olive oil is finished, which will "pump" the flower of bottom oil and allow this special bread with orange blossom . I pour in my glass La Tâche Domain of the Romanée Conti 1957. I'm sniffing. There is no unpleasant odor. This means that the bad smell stuck to the bottleneck of the wine and did not mark the wine. I inform friends and I taste the wine to the color tired and there, it is as if an anvil fell on my head. It is the shock of Christopher Columbus discovering America: this wine summarizes all by itself all that makes the DNA of the wines of Romanée Conti. This wine is a mountain of roses placed on a salt marsh. There is the rose, there is salt and for me, it is all the Romanée Conti that bombard me with its excellence. How can this wine that I was going to exclude summarize the estate as well, with as much charm and persuasion? La Tâche Domaine de la Romanée Conti 1969 is much more orthodox than the 1957. It has a nice fruit that the 1957 does not have. She has the charm of La Tâche, a delicate velvet and the rose is more discreet. This wine is all in elegance. It's a great wine. But the 1957 rascal and crazy is ten times more exciting as it is off-track, apart from all the oenological cannons. After these three reds of which only the 1969 is orthodox and in conformity with what we hoped for, Château d'Yquem 1989 puts us on a path of pure pleasure, so much the gold of this Yquem is perfect, round and serene. The accord with the supremes of pomelos prepares the more greedy agreement with raw mango dice. It appears that sautéed mangoes would have been more in continuity with the sensual richness of the Yquem. About an hour ago we had exchanged hugs and greetings and it's time to vote. The consensus vote would be: 1 - La Tâche Domain of the Romanée Conti 1957, 2 - La Tâche Domain of the Romanée Conti 1969, 3 - Château Palmer 1959, 4 - Pétrus 1983, 5 - Champagne Salon Le Mesnil sur Oger 1990, 6 - Yquem 1989. My vote is: 1 - La Tâche Domain of the Romanée Conti 1957, 2 - Champagne Salon The Mesnil on Oger 1990, 3 - La Tâche Domain of the Romanée Conti 1969, 4 - Pétrus 1983, 5 - Champagne Veuve Clicquot Vintage Ponsardin magnum 1985 . Wonderful tour and descriptions Francois. Question: Did the off odor of the 57 remain in the bottle after it was empty? I just checked now and the bad smell is no more there. But it makes more than 3 days since it was opened. Thanks as always, François. Compelling notes. Last edited by David K o l i n on January 3rd, 2018, 9:27 pm, edited 1 time in total. Thank you François. I live vicariously through your notes. Michael O'Brien wrote: Thank you François. I live vicariously through your notes. Wonderful report, happy new year! Just curious, what temperature do you recommend serving white burgs or Yquem at? Very lucky guests to spend New Years Eve dinner with you! The miracle that makes me happy is the joie de vivre that your posts convey. I always read them even though I know I will never drink the wines. For me, they are the equivalent of the the pillow fight scene in Vigo's Zero for Conduct. The French name of the bread is a name that I heard for the first time : "pain pompe". Never heard. It means that when the pressing of the olive oil is finished, you have what remains at the bottom of the press machine which is named "flower of oil". You throw flour on it, you add some liqueur of orange flower. You take it and bake it. It is delicious and can be used either with salted or sugared products. The bread was made by one of the guests. She is a cook and has one star in the region in the south of France where I live. Once again thank you for the nice words which motivate me. I consider my wines as my children. When a wine stinks by opening I am sad as if one of my children would be hurt by a car on a crossroad. You should see my face and my anger. I smell many times to see if a recovery is possible or not. For the 1957 LT, I thought it was impossible that the wine recovers. But I give always a chance. I clean the inner part of the neck with my fingers and I tell to myself that I have magic fingers that will resuscitate the wine. Pure fiction, but it helps me to expect miracles. And when the miracles occur, whatever wine is concerned, I am like David Hamilton jumping on his car when he has won a Formula 1 race. And I must say that it is an important part of my passion for wine, because to drink a perfect wine which is perfect as expected gives not the same adrenaline as the wounded wines which come back to life. This 57 was so perfectly the definition of DRC wines that I was like walking on water! The temperature of service depends on the season and on the climate conditions. During my stay in the south, I served a magnum of 2002 Salon. This champagne needed to be extremely cold due to its extreme freshness. On the contrary, I served old Grande Cuvée Krug which needed to be served rather warm, to have the fatness of the champagne expressing itself. In winter I would like that the Bâtard and the Yquem express their large aspects. So, to be served at 1° or 2° less than red wines, but not more. The red wines were served at 16 / 17° C.
Read the whole thing with a smile on my face throughout. Isn't that why a lot of us have dived into this? To find those moments of pure amazement? I've been fortunate to have several bottles of the 89 D'Yquem recently. The good bottles have been superlative and the one I had in London (just before seeing you) was probably my #4 wine of the year. Thanks again for sharing your end to 2017. Mike Grammer wrote: Read the whole thing with a smile on my face throughout. Isn't that why a lot of us have dived into this? To find those moments of pure amazement? Indeed. Drinking wine should be a search for great moments. A quest. François conveys that better than anyone else I know of. Concur that temperature depends on time and setting of service, as to a degree selection of wine, too. Francois, I absolutely love reading your posts. You manage to combine your love for the wine with a wonderful (sometimes whimsical, sometimes poetic) personification of the bottles. It makes for a magical read. I can only imagine the enchantment of an evening at your table. Here is to dear friends, dear wines, and dear memories in this new year of 2018. Thank you, as always, for ‘bottling’ such a special memory from your life for us to enjoy. I think it will be true. 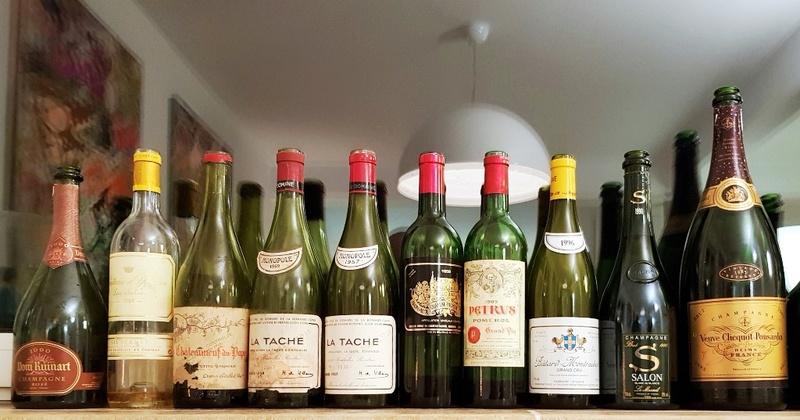 I have had the chance to drink American wines of the 40ies, 50ies and 60ies which age largely better than the wines of the 70ies which were made in a period when winemakers used too much chemistry and technics. The era of bodybuilded wines is finished. I am confident in the ability of actual great wines to age. David Hamilton est le photographe, Lewis Hamiltonest le pilote de Formule 1. Beautiful meal and glorious wines... you surely enjoy life. Sounds like a wonderful time and a Happy New Year for everyone. You are right ! I meant Lewis Hamilton and not David. Shame on me ! Nice wines, thanks for the write up. I love : "sadly it was corked, but underneath looked like a lovely wine" because it is exactly how I see wine drinking : always listen to the message of the wine. And if there are wounds, try to catch what is behind, with the will to perceive what the wine wanted to say. This is not masochism, it is the desire to know.